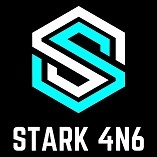 Inspired by a tech genius billionaire and my favorite comic book character I bring you STARK 4N6! I hope to share forensic research, findings, experiences, travels and everything in between. Follow me on Twitter (@KevinPagano3) for assorted musings.